Join CEO colleagues at the award-winning Inwood Estates Vineyards for a private tour, interesting conversation about the winemaking business, and unique wine-tasting experience. A truly “urban winery” in the heart of the Dallas Design District, Inwood Estates Vineyards was founded by Texas winemaking pioneer, Dan Gatlin, one of the most influential winemakers in the state. We’ll enjoy a discussion on the business of wine from Dan and his son Spencer. The story of winemaking history is interesting, and you may be surprised that most "wine knowledge" we learned years ago was inaccurate. Even more fascinating may be the Gatlin's view of the future of wine. In addition to a tour and business discussion of Texas wine making, we’ll enjoy mingling with fellow CEOs while sampling some of the most exceptional wines of the Great Southwest. Paired with fresh, palate-pleasing food options, Inwood Estates’ trademark Tempranillo and Palomino blends will delight the taste buds. This delicious and fascinating event will be one to remember! Dan Gatlin, one of most well-known and experienced winemakers in Texas, grew up in the retail beverage trade, as his family owned & operated the ‘Hasty’ chain of wine, spirits, and convenience stores in Dallas. After a career in the retail wine industry, and being closely attuned to the rise of winemaking in California in the 1970s, Dan took a shot at the same enterprise in Texas in 1981, opening a small vineyard that would eventually grow into the successful Inwood Estates. Dan and his wife Rose Mary built the Inwood Estates Vineyards winery and tasting room in Dallas in 2005. Spencer Gatlin, Assistant Winemaker and Dallas Tasting Room Manager. Son of founder Dan Gatlin, Spencer is a savvy sommelier who cut his teeth in the family business. 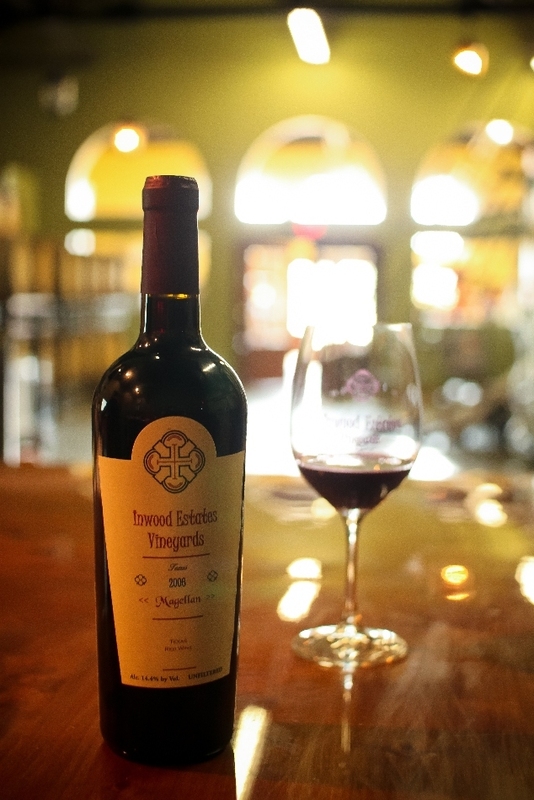 Inwood Estates wines have won international notoriety & can be found in almost 300 of the top restaurants in Texas. A pioneer in Tempranillo growing, Inwood Estates specializes in making the highest quality wines from the best Texas grapes.